DAVID LE/Staff photo. 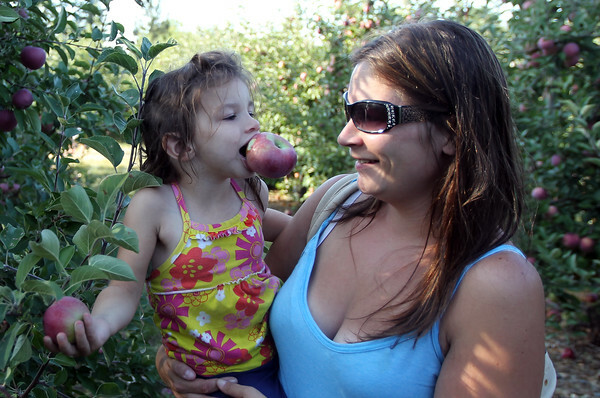 Three-year-old Vanessa Sholds, of East Boston, happily eats an apple while picking another one while being held by her mom, Heather MacLean. 9/19/15.